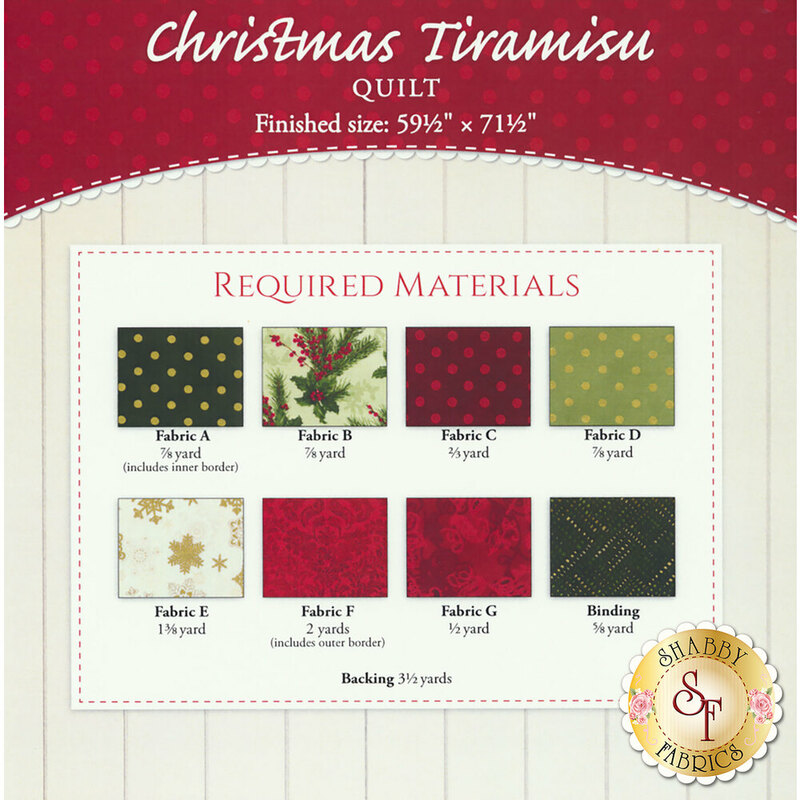 A festive combination of bold Christmas reds and beautiful shades of evergreen make this quilt perfect for warming up with a cup of hot cocoa and welcoming in the Christmas Season! Stunning metallic fabrics add a shimmering flair to this breathtaking Shabby Fabrics Exclusive quilt! This eye-catching quilt features basic piecing, but is sure to impress your family and friends with its complex look! Quilt finishes to approximately 59½" x 71½".